Pushkar Camel Fair 2019 is a must-see festival for tourist visiting Rajasthan, India. The Pushkar Camel Fair also known as Pushkar Fair or Pushkar Mela, started mainly as a cattle trade fair, where people brought their cattle, Camels, and Horses for trading in the fair. About a Century Old, Pushkar fair has developed from a cattle trade fair to a grand spectacle of vibrant colors and cultural heritage of Rajasthan. Its scale has been increasing year after year which attracts tourist from all over the world. The Pushkar Camel Fair is organized in the holy city of Pushkar which starts from the month of Kartik (acc. to Hindu Lunar Calendar) and ends at Holy Kartik Purnima. This Fair starts in between the months of October and November. 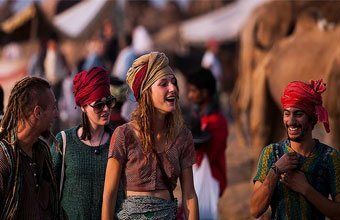 Pushkar Camel Fair is one of the main tourist attraction for international tourists to visit the state of Rajasthan during this season. The Pushkar Camel Fair starts in a cooler season which attracts over 200,000 visitors per year. Pushkar Camel Fair 2019 starts on Monday, 4 November 2019 and ends on Tuesday, 12 November 2019. 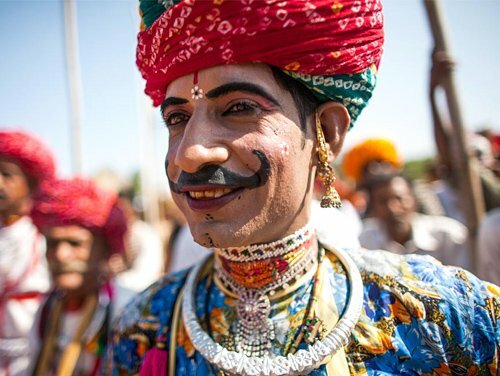 Pushkar Camel Festival is one of the world’s largest camels, horses and cattle trade fair. More than 30,000 camels are traded during Pushkar Camel fair every year. Apart from cattle and camel trading, the Pushkar Camel Fair in parallel holds a festival of folk music and dances, Ferris wheels, magic shows, cultural events and competitions like Tug of War- competitions for women teams and men teams, Longest Moustache – a competition for Moustache Lovers, Matka Phod, Bridal competition, Rajasthani Group Dance, Camel Race, Camel Decoration (Gorband), Camel Dance Competition, Wrestling Competition, Matka Race for women. There are many Indian sports competitions (e.g. Kabadi) where locals play against visitors (mainly tourists). Tourists also can take part in other competitions like Turban Tying and tilak Competition. There is also Indian Bride & Groom Competition (for Foreigners) organized by Rajasthan Tourism. 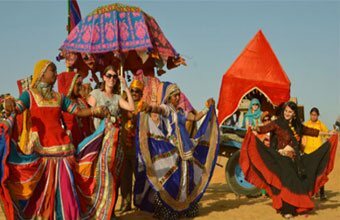 The environment of Pushkar becomes colorful and vibrant during the fair as many tourist visits to experience the cultural heritage of Rajasthan. 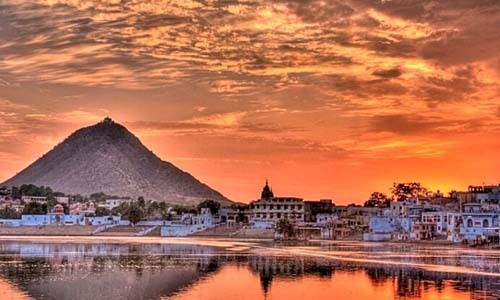 Pushkar is the home to the only Brahma Temple in the world. It is one of the sacred Hindu pilgrimages where people come for salvation. Acc. to Hindu Mythology, Lord Brahma one of the god in the Hindu Trinity (other are Lord Vishnu and Lord Shiva) who is believed to be the creator of the Universe dropped a lotus flower here and thus named it “Pushkar” which means “Blue Lotus flower”. On the Eve of Holy Kartik Purnima, hundred’s of pilgrims around the world come to take a dip in Pushkar Lake to remove their sins. Pushkar is located in close proximity to Delhi, Agra and Jaipur, it is accessible by road or even rail from anywhere without any trouble. The nearest airport to Pushkar is in Jaipur, which is 140 kilometers away. The airport is well-connected to cities like Delhi, Mumbai, Kolkata. Once you reach the airport, you can hire a cab to reach Pushkar. The journey from the airport to the city will take approximately 3 hours. You can either book a cab or hire from any of the taxi vendors outside the airport. However, buses from Delhi to Ajmer and further to Pushkar are easily available. The Rajasthan State Road Transport Corporation runs deluxe and semi-deluxe buses (both air-conditioned and non-air-conditioned) connecting Ajmer to nearby cities and then transport you to Pushkar for a very nominal fare. You will need to take a train to Ajmer and then take a 30-minute drive to Pushkar. The Ajmer railway station is well-connected with major Indian cities like Delhi, Mumbai, Jaipur, Allahabad, Lucknow, Kolkata, Bhopal, and Bangalore. Contact us to customize Pushkar Camel Fair 2019 Tour as per your arrival dates and convenience. 1. 5 nights twin sharing hotels with breakfast and taxes. 2. 2 nights in Aircon Camps in Pushkar with all meals. 3. Local English speaking tourist guide as per tour package. 4. All presently applicable taxes related to hotel and transport. 3. Cost of Domestic flights ( Jaipur / Delhi or Jaipur / Mumbai ) ( USD 55 / EURO 48 )/pax. 5. Extra expenses such as laundry, drinks, tips, etc. 2. Domestic flight fare may fluctuate at the time of booking. 3. Please ask for more and specific information on Pricing. 4. Various Discounts are also available – subject to terms and conditions. In addition to above or similar hotels, we have an option to stay in few of the top super luxury heritage Hotels, Retreats , Lodges, Home stays, etc.. If you wish to do so, do share your thoughts with us. You will arrive at Indira Gandhi Inernational Airport T3. Here you will be met by our representative who will welcome you in Indian traditional way. Later you will be transferred to your hotel. Check in in your hotel. Later our guide will join you for a full day tour of Old and New Delhi. 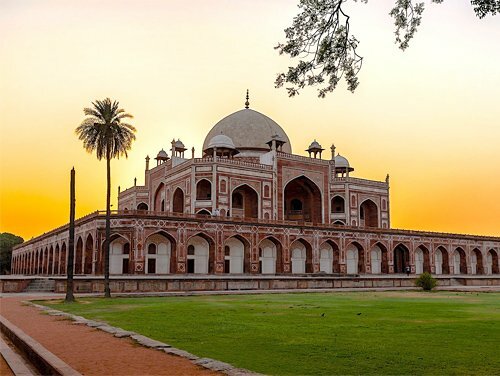 Delhi, with the history of 5,000 years is amongst the most wonderful and historical cities across the Globe. Here you can find the traces of 08 cities of Delhi built over the passage of time. In the morning we visit New Delhi. We drive through India Gate, President House, Parliament House, and other Govt. Buildings. Later we visit Humayun’s Tomb, Lotus Temple and Qutab Minar (the 73 meters high victory tower). Afternoon, we visit Old Delhi: Red Fort, Jama Masjid (The Friday Mosque which can house 20,000 person for prayers at one time). We also visit Chandni Chowk (the central square of Old Delhi). Here we will do a two hours cycle rickshaw ride to visit narrow but colorful bazaars of Old Delhi. Finally, we visit Raj Ghat – the cremation place of Mahatma Gandhi. Subsequently we drive to Agra via Yamuna Expressway (our English speaking driver and air conditioned vehicle will be with us during the whole tour till we fly out of Jaipur on day 08. 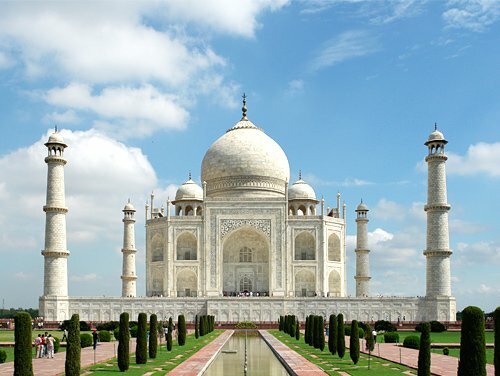 Upon arrival in Agra, check in in your hotel and rest for a while. Afternoon (around 01.30 PM our guide will join you for the tour of Agra. We visit Agra Fort and The Tomb of Itmad Ud Daula. You may stay in Agra Fort till sunset to view Taj Mahal. Early morning start with the sunrise view of THE IMMORTAL TAJ MAHAL… A dream turned into a white marble mausoleum. A gift of a beloved husband to his wife. Return to the hotel for breakfast. Later drive to Jaipur via Fatehpur Sikri – The abandoned capital city built by Great Mughal emperor Akbar. On arrival in Jaipur, transfer to the hotel and check-in. 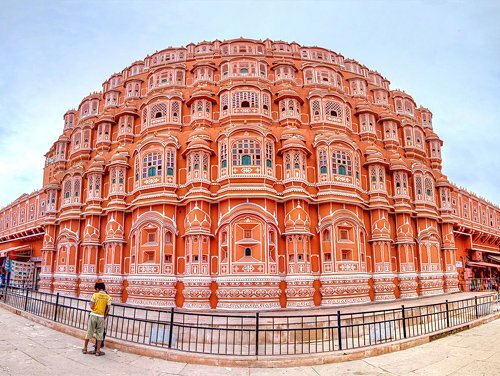 Jaipur – It is the capital city of Rajasthan and also known as THE PINK CITY. Jaipur offers a unique blend of Rajasthani architecture, Forts, Palaces and Havelies. With its colorful people and busy market streets decorated with colorful shops, it is a paradise for global travelers. We start our day with Excursion Trip to Amber Fort – The Old Capital City of Jaipur located outside 15 km from the present City. Here we will ride a decorated elephant to go atop the hill. (Elephant ride is on direct payment basis). 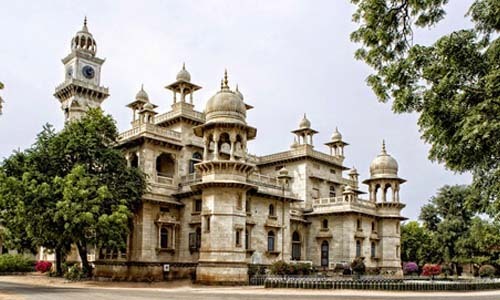 Later you have sightseeing of Jaipur city with a tour guide. Visit City Palace, Hawa Mahal, (THE PALACE OF WINDS), Jal Mahal (Water Palace), Albert Museum and Birla Temple. Later in the evening not to miss a wonderful shopping opportunity. Finally, come back to the hotel. Upon arrival check in into your air-conditioned camp which comes with attached private facilities. Your stay is on a full board basis. Lunch. Then the rest of the day to explore various facts of Pushkar Fair. These two days you can wander around Fair Grounds. Dinner and overnight stay in your Air conditioned Camp. After breakfast, you will again visit Pushkar fair glimpses. 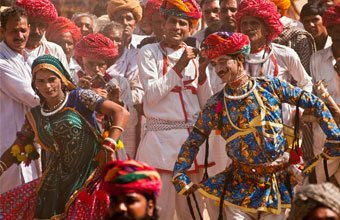 Whole day free for watch every ingredient that makes Rajasthan a distinct place can be spotted in the fair including men dressed in colorful traditional clothes, women in mirrored skirts and vivid shawls, embroidered clothes, exquisitely designed jewelry, pots, and ornaments. Do not forget to visit The Brahma Temple and Holy Pushkar Lake. Your all three meals will be at the camp. After breakfast at hotel drive towards Jaipur Airport to connect flight to Delhi. From Delhi connect late evening (or midnight) flight to home. Pushkar Mela 2018 itself was a grand spectacle where over 40,000 Camels, Horses and cattle can be seen. There were many amazing and exciting activities. 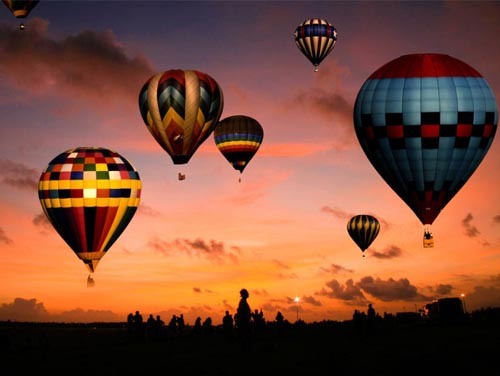 Some of them were Hot air balloon Rides, Adventure activities, Showcase of local talent, Live musical performances, Camel and horse dance competitions. 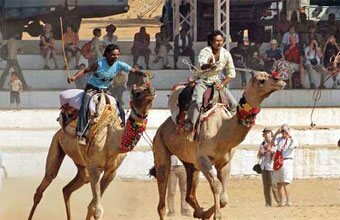 Going for a trip to Pushkar Fair, you can’t miss the exciting Camel safari which is loved by all the visitors & will enthrall you with joy. Camel Safari offers you a great chance to experience life in the desert. Explore the desert for having ultimate fun by riding in Quad Bike through the desert and enjoying the amazing landscape of the desert. Once you reach the desert, ride through the sand dunes for fun and adventure. If you love to explore the vast deserts, then enthrall in this exciting quad biking experience. Explore the Pushkar city from the top by trying this exciting activity. Enjoy the sights of the ancient sacred landscape. Best for photography lovers who love to capture some of the most splendid shots of the city; this enthralling activity might prove to be a double treat. Early morning or late afternoon is the best time for this activity. There is no better way than from a hot air balloon ride to explore the landscape and mountains of Pushkar city. 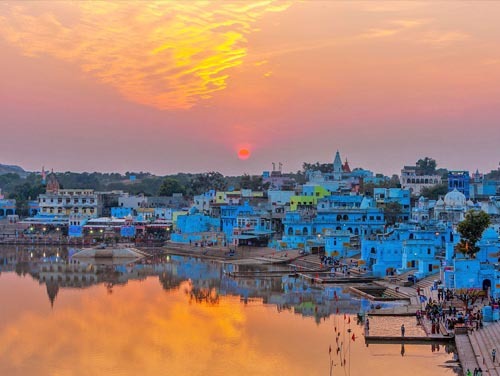 Pushkar is one of the oldest cities of India, it has its fair share of old magnificent architectural buildings and Historical Monuments. 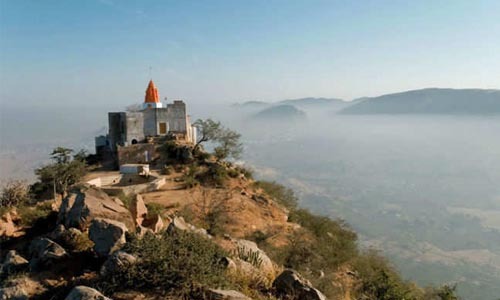 Apart from Pushkar Camel Festival, there are many temples, forts and places to visit in Pushkar. 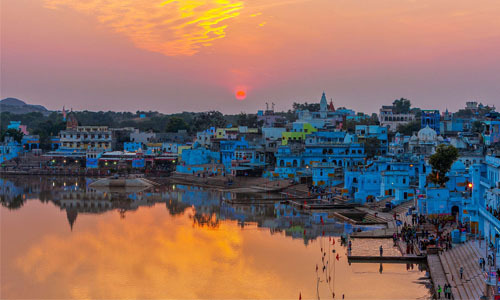 One of the major tourist attractions that equally attract not only Indians but also international tourists, the Pushkar Lake is considered as the holy/sacred lake for the Hindus who came to take a holy dip. The famous lake is witnessed by thousands of visitors flocking towards it to take a sacred bath to wash away the sins of the whole life. Also called Jagatpita Brahma Mandir which is dedicated to Lord Brahma. It is one amongst the few places to visit in Pushkar. This temple is located near the Pushkar Lake. It is the place of worship, built in the fourteenth century. Married men are not allowed entry into the sanctum as the place is only reserved for ascetics & sanyasis. The holy place is surrounded by large no. of devotees throughout the year. Many people come here only after taking a holy dip in the Pushkar Lake. Located at the top of Ratnagiri Hill, Savitri Temple has a legend behind it. Visiting this place of worship is of quite an experience. In this temple, one can find both the idols of the wives of Lord Brahma named Savitri, Gayatri are installed. This temple has a religious significance to offer. Pilgrims from all over India & abroad visit here to pay respects to the divine Goddesses. Man Mahal is one of the places to visit in Pushkar which is located beside the Sarovar Lake. You can explore the entire view of Sarovar Lake and its surrounding regions. Open for the visitors who can stay here and enjoy the many facets of Pushkar. The great palace is also called the Sarovar Hotel which offers a world-class stay to all the international travelers. 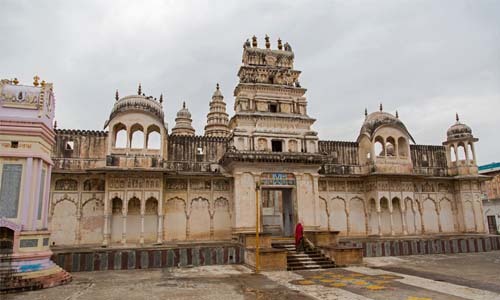 Out of the largest and most ancient temples in Pushkar, this temple is dedicated to Varaha, a boar that is considered to be an incarnation of Lord Vishnu. The highlight of the place is the magnificent image house present inside it. 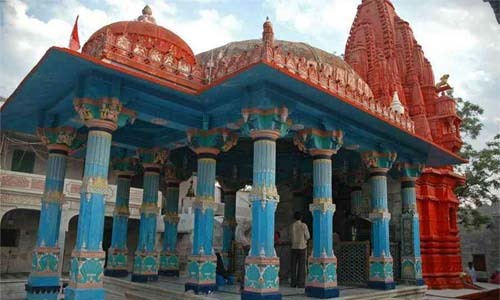 This temple is considered amongst the finest temples in the region of Pushkar in Rajasthan and also one of the best places to visit in Pushkar which is visited by people from across all the regions. 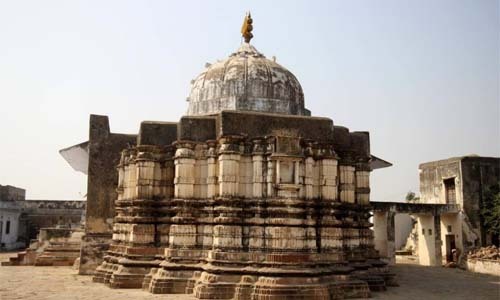 Thus, the temple is also a popular place to explore the facets of Hindu mythology. 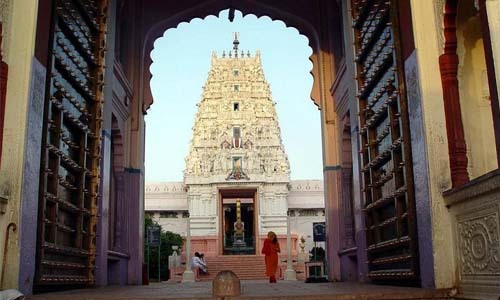 One of the most visited Hindu temples in Pushkar which is dedicated to Lord Rama. The great temple transcends its charming beauty with the towering spires & pagodas. Constructed in the year 1920, it is considered as the holiest temples in Pushkar, Rajasthan. 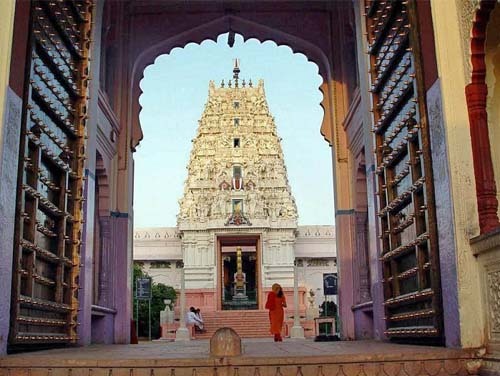 Known for its South Indian architecture such as the high gopuram, this temple is among the newer temples of Pushkar which are dedicated to Lord Rangii. It is one of the popular shrines in the region and experiences a huge no. of visitors every year. Being a Vishnu temple, one can see a large gathering of Vishnu devotees here on important occasions. This popular temple is amongst the top places to visit in Pushkar. It is one amongst the top tourist destinations in Pushkar and also amongst the most popular places to visit in Pushkar. Although, it is a crowded market, yet a beautiful place to visit. All types of handicraft and miscellaneous items are sold here. Here, one can shop for Rajasthani costumes. There are a number of items only sold in this bazaar like the embroidered fabrics, utensils made of brass, glassware, leather bags made of camel skin, belts and many other things which have a high demand among the international visitors. 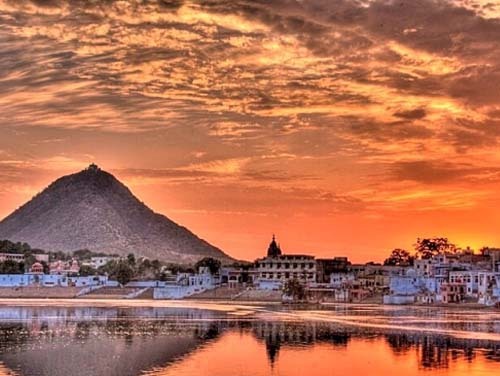 Pushkar and Ajmer are divided by a hill which is known as Naga Pahar. Ancient people believe these hills as the ‘home of famous Sage Agastya Muni’. These hills also house a lake called Nag Kund. 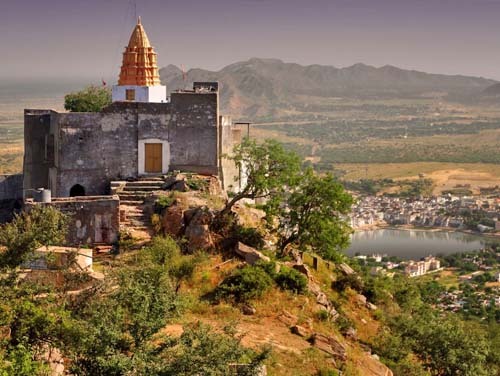 Naga Pahar offers a spectacular view of Pushkar city from its top. Pushkar city is also known for its rose farming which is referred to as the Rose Garden of Rajasthan. Here, the farmers grow a wide variety of roses and the diversities of this flower grown here are exported throughout the world. This lands full of beautiful red roses spread the fragrance that makes one crave to sit and spend some rosy time in the garden.